Round out your vintage tabletop with our Retro Salt & Pepper set. 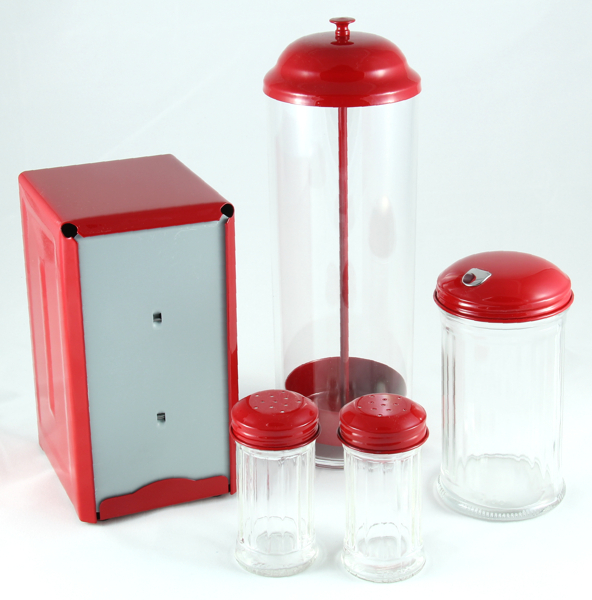 The lids are stainless steel with a gloss red baked enamel finish. The jar is heavy clear fluted glass. The hole pattern is the same for both. 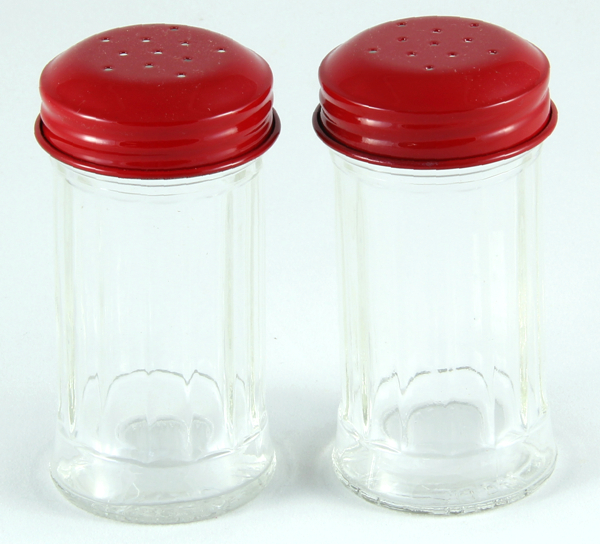 Each shaker holds about 2 oz and is about 3 1/2" tall by 1 3/4" diameter. Decorated in the U.S.A. Imported blank.